Want to support Invex Gaming? We heavily rely on donations from the community in order to survive. If you want to keep Invex servers online, consider donating or purchasing VIP! Click here to purchase VIP. $0.00 has been donated out of our goal of $215.00 for April. We currently have a total of 78 VIP members! Thank you for your support! To see more detailed stats, click here. Are you new? Introduce yourself to the community here. Official news and announcements from the upper admin team. Here you can post suggestions for our website and servers. Ask for help with anything here or report a bug on our website or servers. Discuss general CS:GO topics here. Trade Lounge (Locked), and 3 more. Discuss combat surf and surf related topics in here! Discuss the Jailbreak server in here! Discuss the 1v1 server in here! Discuss any games in here from Minesweeper to Half Life 3. League of Legends is a 2009 multiplayer battle arena video game made by Riot Games. Rocket League is a physics-based vehicle soccer video game developed and published by Psyonix. PlayerUnknown's Battlegrounds (PUBG) is a multiplayer online battle royale game developed and published by PUBG Corporation. Fortnite is a co-op sandbox survival video game developed by Epic Games and People Can Fly. Discuss topics related to the Invex Gaming community here. You must be a member to post in this section. Find out about all the great community events hosted by Invex Gaming! Apply to become an Invex Gaming member here! Apply to become an Invex Gaming Senior Member here! You can express your interest in becoming a server administrator here. Ask for Jailbreak CT unbans here. Post here to request an unban from Invex Gaming servers. Report hacking, admin abuse, harassment, rule breaking and other intrusive behaviour here. 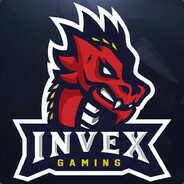 You can learn more about the Invex Gaming Ranking system and about who you should contact for help by clicking here.